Cobb does a good job of the writing with snappy pacing and plotting; his descriptions giving immediacy to places and people. A Grisham-esque tale of suspense and intrigue… I highly recommend Prelude for its engaging story and richly developed portrait of the peak oil issue. 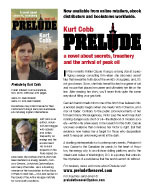 [Cobb’s] story of an oil industry analyst and her discovery of and immersion into the machinations of Big Oil kept me unable to put the book down till finished…Read Prelude because it’s a good read. The message is a bonus. 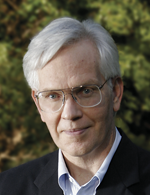 If you know someone — a friend or family member — who enjoys political thrillers but doesn’t yet know about peak oil, then Prelude is the book for them.